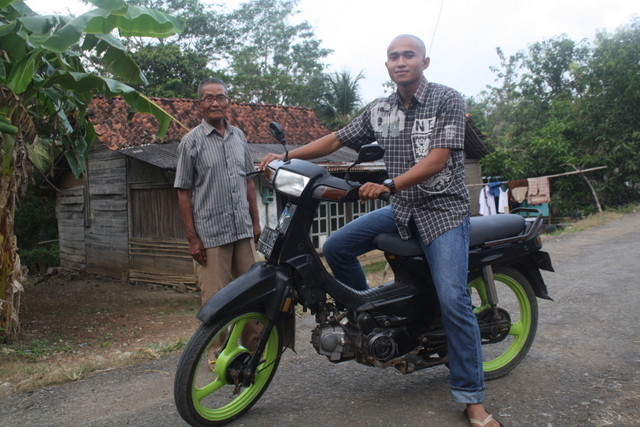 Sartoyo’s parents are farmers and live in a small village west of Cilacap. They wanted their youngest son to have an education with the hope of a better economic future than theirs. The income from selling their farm produce covered basic living. There was no extra for the tuition needed for Sartoyo to go to high school. 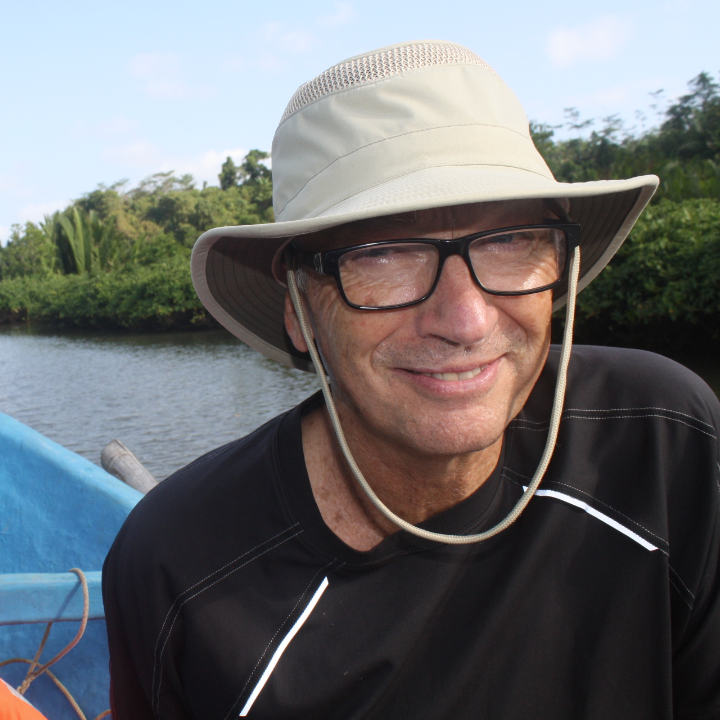 They went to the water to fish and catch crabs which raised enough extra money for the tuition. Sartoyo was very grateful. His vision after graduating was to get a trade by studying further at a vocational school but he couldn’t burden his aging parents for more money. He had never even heard of the National Maritime Academy (AMN) and a career in the merchant marine. His father is a leader of a group who farm land owned by the YSBS Foundation. YSBS also runs AMN. Some people at the foundation learned from him about his son and told him about Kiva loans for AMN. Sartoyo heard from his father in June and started at the school in August. That was truly a turning point. 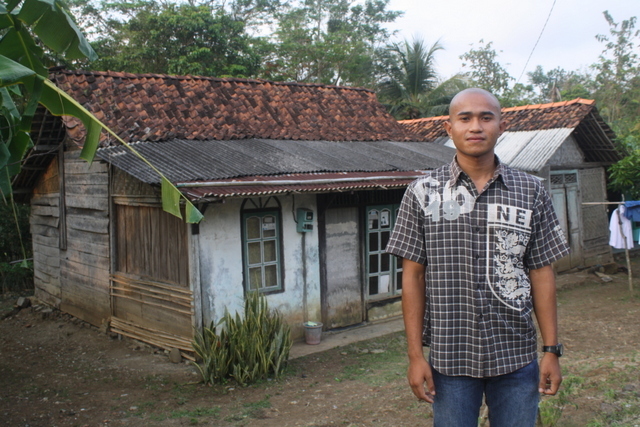 A job in the merchant marine will give Sartoyo a career which will put him in a strong economic position in Indonesia. I asked him what his hope is for the future, he said “to pay back his loan and make his parents happy” which means to provide for them. He mentioned nothing about himself. He started commuting to school an hour each way by bicycle. His mother was concerned about his safety riding ten Kilometers in the rain, after dark with no lights etc. They stepped up to the plate again and came up with enough money to buy a used motorcycle. They needed about $350 for a decent used one. 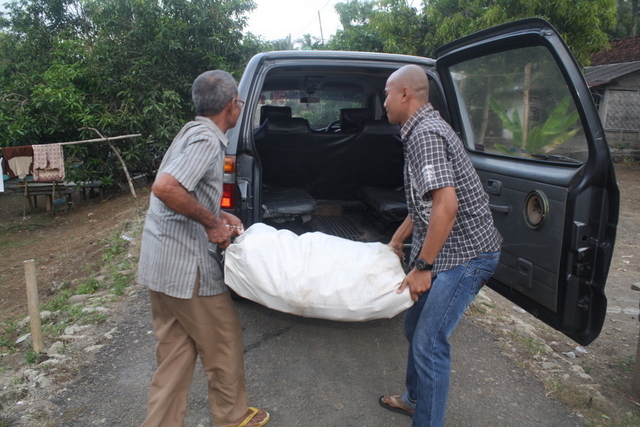 Sartoyo’ aunt contributed $100, Mom sold rice padi (seeds) which brought in $140. His parents went back to the water for fish and crabs to raise the rest. He said “it is a good reliable bike”. When we visited his family home, Mom kept bringing out more food than we could possibly eat sereved with sweet tea of course. They couldn’t see us leaving empty handed. They loaded a big sack of Casava into the back of our truck and gave us each a bag of Lemet (cassava and palm sugar) which is a desert steamed in banana leaves. I am sure Sartoyo will never forget that defining moment and the lenders on Kiva who changed his life in a very significant way.